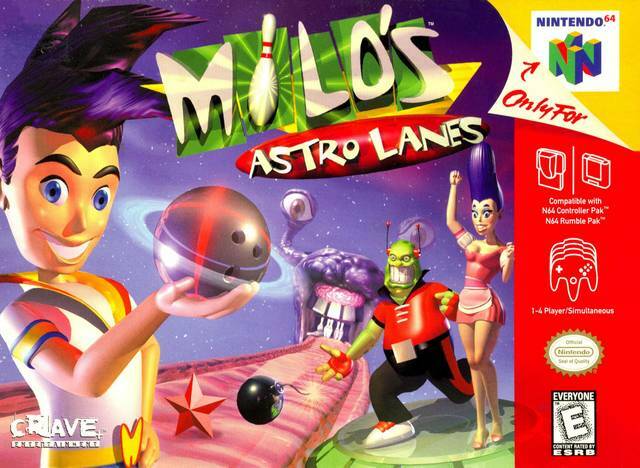 Milo's Astro Lanes for Nintendo 64 is a futuristic bowling title with three modes of play, six oddball characters, and five themed lanes with multiple variations. The action is viewed from a third-person perspective behind your selected robot, humanoid, or alien. For 1-4 Players.